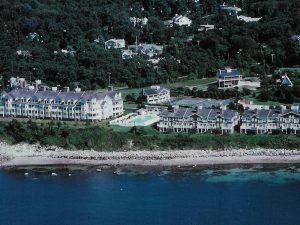 Falmouth is the location of one of only a few, true luxury condominium communities on Cape Cod. The Cape Codder Residences sit on the site of the old Cape Codder Hotel in Sippewisset, MA a village on the Buzzards Bay side of Falmouth facing to the west. The units offer breathtaking sunset ocean views. There is a total of 40 units, including 20 townhouse style units ranging in size from 1500SF to over 3000SF. Units include fireplaces, hardwood and marble floors, custom kitchens, granite counters, seaside balconies, many with ensuite bedrooms, and garage space. Amenities include beach, an Olympic sized pool, 2 clay Har-Tru tennis courts, and a clubhouse with exercise and fitness equipment. The location provides easy access to downtown Falmouth, Woods Hole, and is only about 70 minutes from Boston. 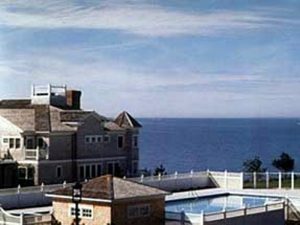 At this time, there is one Falmouth Condo for Sale at the Cape Codder Residences. Please feel free to contact Doug Azarian for more information, including floor plans and a site plan.